When I first reverted back to my Catholic faith and my children were very little, I was so hungry to find information on some of the practices Catholic families used in the home to make the faith come alive. 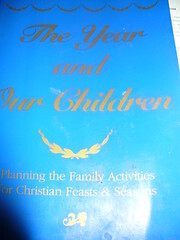 The very first book I found was The Year & Our Children: Catholic Family Celebrations for Every Season by Mary Reed Newland. First printed in 1956 I was lucky enough to get a copy when Firefly Press republished it. At the same time we dye little pieces of cloth to use as purple shrouds for our pictures and statues on Passion Sunday, as the shrouds are used in church. This is to remind us that with Passion Sunday, the last most solemn and sorrowful weeks of Lent have become. 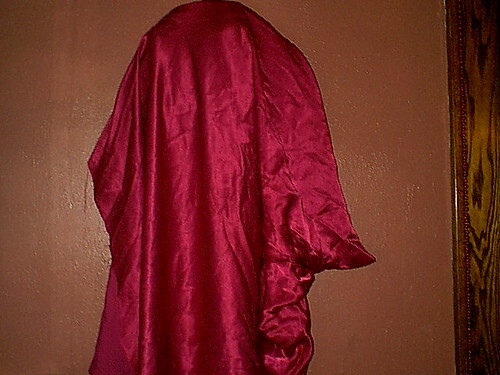 I had NEVER seen any statues or pictures shrouded in my home or at church during Lent and I thought this was a very simple thing that we could do at home. I have a very large and beautiful resurrection cross in my dining room and for the last 15 years or so, we have covered it with a purple cloth. 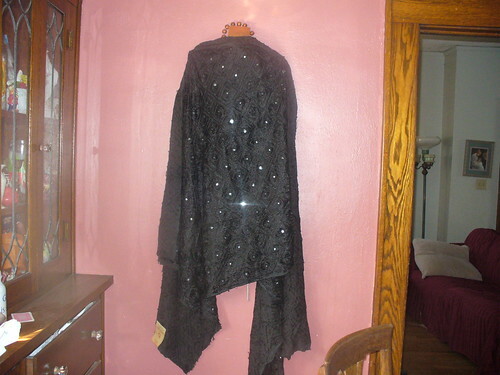 Last year I found a beautiful piece of black material with mother of pearl sewn into the pattern of the fabric. Black too is a color of sorrow or morning, so I have covered our resurrection cross with this fabric this year. And we cover for the entire six weeks of lent too. It just seems to fit the atmosphere with the purple table cloth and our other Lenten items. My other luxury that I give up for Lent is the white lights around my mantle piece that I love to have on all year long. I really miss them when we turn them off for Lent, but to have them twinkling merrily away just doesn't seem to fit the tone we are trying to set for our family during this season.